At the gateway to the Bay of the Somme, the ibis Abbeville hotel-restaurant is a an ideal base for sea lovers who are looking for quality accommodation, pleasant and helpful staff and a traditional restaurant with fresh and regional products. We offer fre e parking. Our 65 renovated rooms are equipped with a large bed, desk, telephone, bathroom with shower, sink, hairdryer and WC. Includes free WIFI. 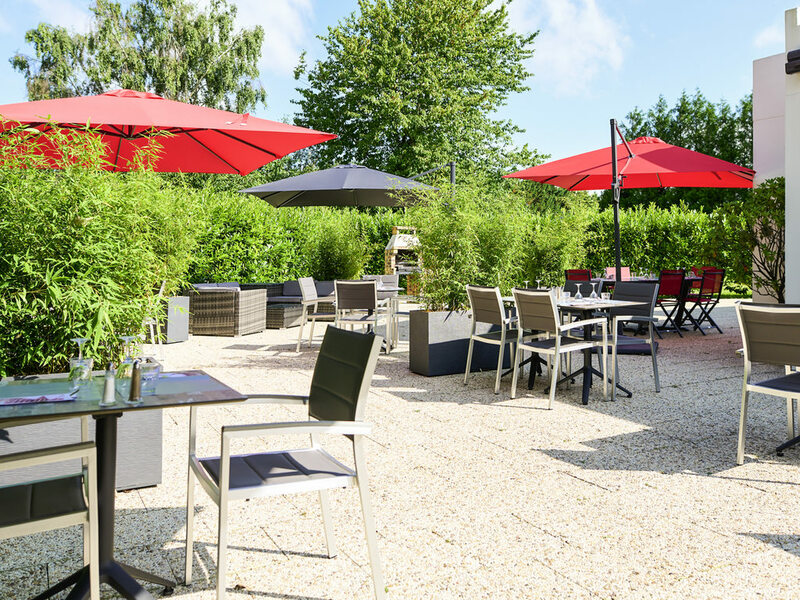 On the outskirts of the Bay of Somme, our hotel-restaurant welcomes you all year round. The hotel is an ideal stop-over for a sightseeing or business trip. Free car park, 65 refurbished rooms, traditional restaurant. 24/7 snack service. Breakfast from 6am to 10am - Early risers option from 4am to 6am - Late risers option from 10am to midday - Restaurant open Monday to Friday from midday to 2.30pm and all week from 7pm to 10pm. Traditional restaurant with a touch of innovative cuisine - Closed at lunchtime on Saturdays, Sundays and public holidays. Guests can have their drinks in the small living room in the hall or on the terrace when the weather permits.